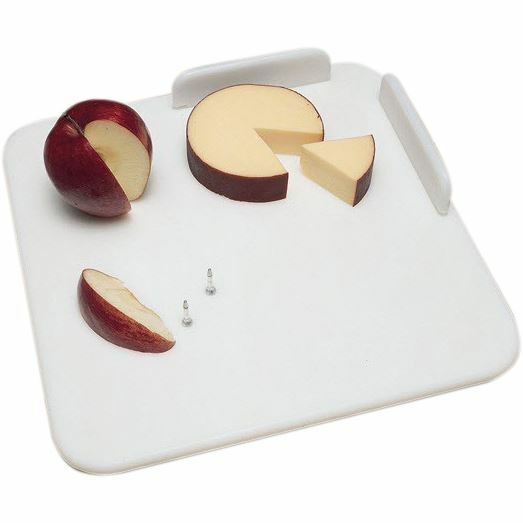 Cut and prepare food on the polyethylene Waterproof Cutting Boards. Aluminum spikes hold food while cutting. Four rubber suction feet anchor the board securely to the surface. 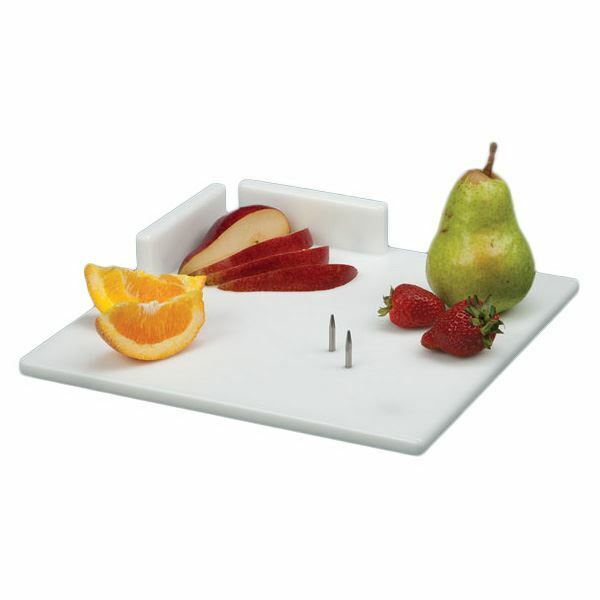 Two polyethylene food guards prevent food from sliding off the board.